GTAGE: Screw you and your car jack! κερητίζειν: Ancient Greek Field Hockey? 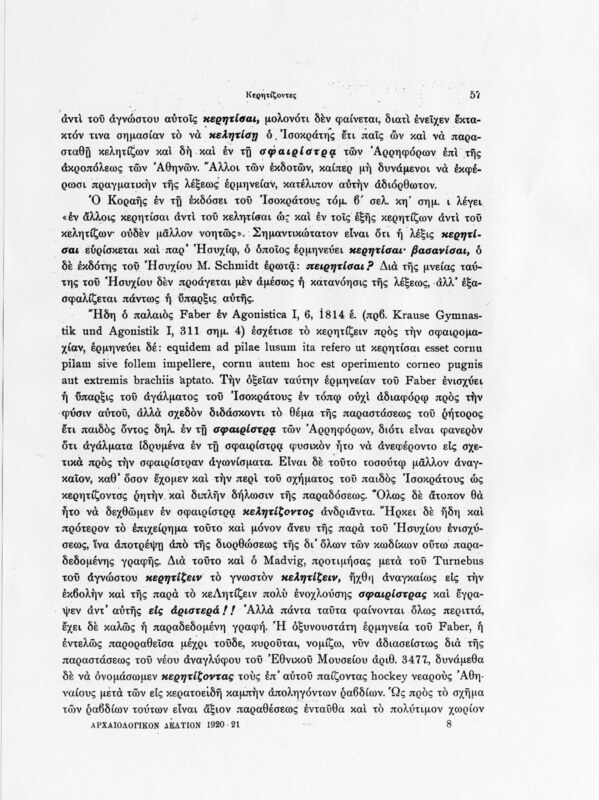 A brief note for the Classicists still reading, despite the deluge of very very Late Greek here—to point to a post at Nikos Sarantakos’ blog, jointly researched with commenter π2, on whether the infrequent verb κερητίζειν refers to an Ancient Greek sport similar to field hockey. 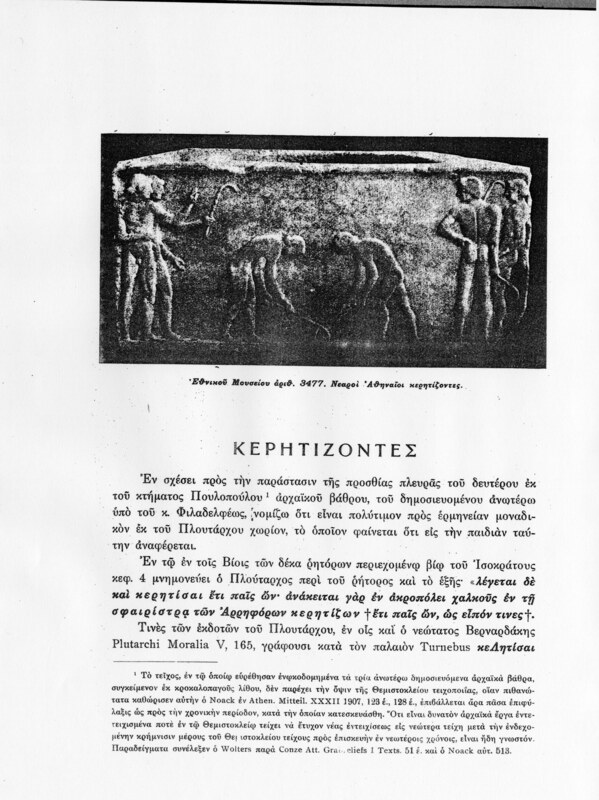 This has been claimed by the archaeologist Georgios Oikonomos in the 1920s, and the claim is repeated by the Greek Hockey Association—along with an relief clearly showing a kind of hockey being played in antiquity. 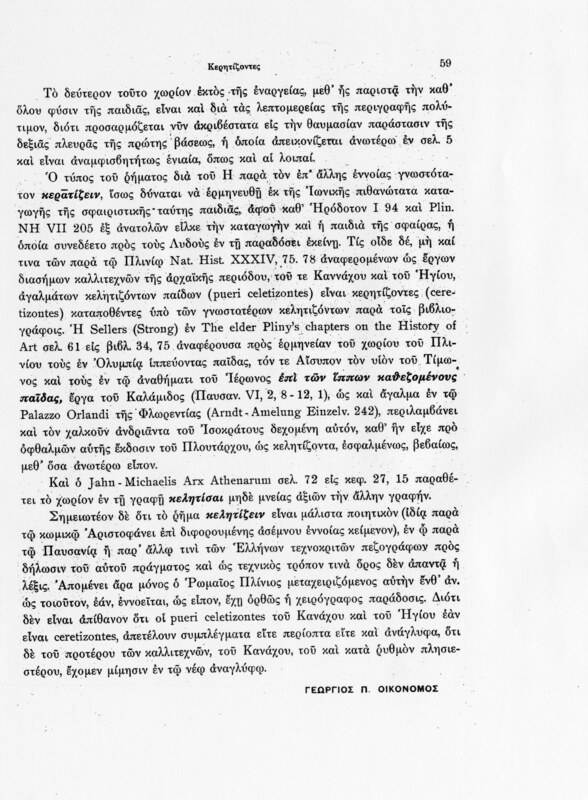 The verb is very rare (Hesychius with an unclear gloss, Pseudo-Plutarch Lives of the Ten Orators 839c, where most editors emend it to κελητίσαι, κελητίζων “ride a horse”: “He is said to have run a race on a swift horse”). 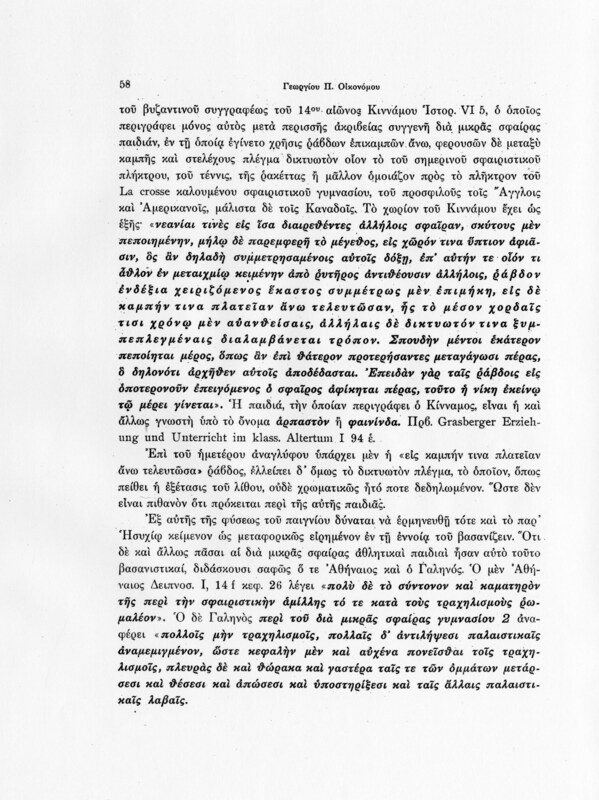 Sarantakos and π2 are unconvinced by Oikonomos’ argument. As often happens, someone makes a claim in scholarship, and it’s taken up without much question elsewhere, because peer review does not catch everything—and didn’t apply to everything either. Yes, the Ancients played ball games. There probably was a word κερητίζω, but we don’t know what it means. There is a chance that κερητίζω means a ball game. G. Oikonomos conjectures that that ballgame is the ballgame shown in the relief. But it could be any ballgame, e.g. a kind of tennis or rugby. His conjecture is nonetheless accepted by most scholars of Ancient sport—though the the conjuncture is forced in his opinion. i fully believe it did. Just look at the ancient ball and stick games all over europe…. Bandy played on ice in the Scandinavian countries, Hurley in Ireland, Shinty in Scotland i'm sure they had something similar in Greece.